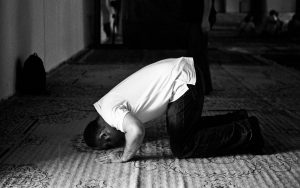 Here you will find stories and insights on how to pray for the Muslims of Thailand. Thailand, the land of smiles, is generally known as a Buddhist nation, with golden temples and saffron robed monks scattered throughout the whole nation. Buddhism is also recognized as the state religion and thus it is often said “to be Thai is to be Buddhist.” However, what is often overlooked about Thailand is that there’s another segment of the population who for hundreds of years have resisted assimilation into the Thai Buddhist culture. These people form about 5% to 10% of the nation’s populace, and number somewhere between 5 and 7 million (depending on the source). They are the Muslims of Thailand, a mixed race sharing a common bond in their Islamic faith. They can be found from the far north of Thailand to its most southern tip, and have little to no exposure of the Good News of Jesus Christ. Besides Muslims in the South, there are significant Islamic communities in Bangkok, the nation’s capital, and in the northern provinces of Chiang Mai and Chiang Rai. The Islamic communities of Bangkok are an ethnically mixed group, while the northern province Muslims are primarily ethnic Chinese. The Cambodian Cham, a small and usually overlooked community lives mostly in Bangkok as well as in the Northeast of Thailand. In Thailand there is complete and total religious freedom, although not all communities are exactly accepting of foreigners seen to be promoting ‘western religion’. Work among Southern Muslims started in 1952 with market-place evangelism, literature drives, and medical and leprosy clinics. Presently there are very workers, and no local fellowships working specifically among the Muslims of Thailand. To reach these people with the good news of Jesus’ amazing message, a special effort is needed. Believers must be raised up and trained to reach the communities who have never heard the Gospel. Pray for more workers to be sent to Muslims communities in Thailand. Pray for gentleness and wisdom to know how to communicate the good news effectively within the local cultural context (Matthew 4:18-20). Pray that the Thai church would have a sense of faith and desire to tell their Muslim neighbors and co-workers about Jesus in a way that is both culturally relevant and Biblical. Pray that the Holy Spirit would bring a revelation of the Isa Al-Masih to the Muslims of Thailand (Isaiah 60:1-2). Pray that those who have begun to follow Jesus would be discipled and grow in strength and maturity. And that they would have a passion for sharing the good news! Send us a message. Let us know you prayed.